Flying up to Masset to begin another long anticipated season of Salmon fishing around Langara Island, I was reminded how lucky we are to be able to experience all that this magical place has to offer. The entire West Coast Fishing Club crew, from Vergilio, our Clubhouse dishwasher who is entering his 13th season, to owners Rick and Brian, who have nurtured The Clubhouse from its inception, all feel the same – how lucky we are to be stewards of this beautiful part of the world. The Clubhouse winter crew, led by Roger Piercy, has been very busy and it is showing. Expansion of our decks overlooking Henslung Cove continues. The helipad and adjoining walkway have also been greatly improved and will enhance what is always the warm West Coast Fishing Club welcome. In addition, I think returning members will find the improvements – carpeting and furniture mainly – to both of our lounges as convivial as we recently did when we entered The Clubhouse for the first time this year. 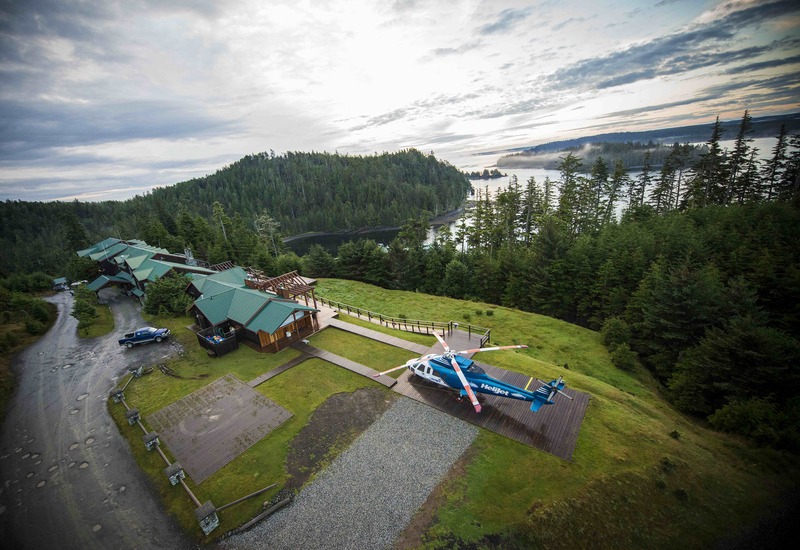 We have some new staff who are excited to be on Langara Island for the first time and are anxiously (but maybe even a little bit nervously) waiting to greet and welcome you as you get off our helicopters. We have many long standing staff, including head guide Screamer, executive chef Shaun, top notch mechanic Kingpin, and long time guides Bud and Korey to mention a few, who are also looking forward to saying hello. We all pledge to work hard to make sure our commitment and promise – that this will be one of those experiences you’ll always remember – will be fulfilled. It all starts next week with our annual Short Notice Club Salmon Derby. Will the team of Bob Yoshioka and Doug Shigaki pull off a three-peat in the opening trip of 2015? We’ll know in a few days. Meanwhile, we are all looking forward to our other special events too, including the annual David Hawksworth and Friends Culinary Adventure, which this year features guest celebrity chef Normand Laprise of Montreal’s famous Toque!, recently voted Canada’s best restaurant. Come August, we will again welcome our friends from the Vancouver Canucks and some of the most ardent anglers from near and far who will gather to compete and raise money for Canucks Autism Network in the 10th annual Fishing for Kids Tournament. We look forward to seeing you up here this summer, but if by chance you’re unable to make it this year, rest assured that we’ll continue to improve this beautiful place so that when you next return, it will be even better than what you remember.